James P. Dunn is the executive director of the Foundation for Advancing Science and Technology (FASTec) which is sponsoring the development of the Electric Aircraft. He is also the president of Advanced Technology Products, Inc., of Westborough, Massachusetts which is building the fuel-cell powered aircraft. Dunn also serves as the Chief Technical Officer for the Center for Technology Commercialization at NASA's New England Regional Technology Transfer Center. He is a widely known electrical engineer who is credited with inventing the laptop computer. He has more than 25 years of experience in a variety of high technology ventures with companies from startups to Fortune 100 companies like IBM and Exxon. 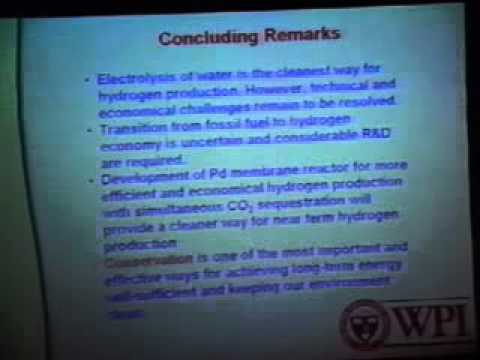 Hydrogen Based Economy: Just A Dream?